One of the critical marketing goals is to shorten the sales cycle without an up-front sales investment. A shorter sales cycle means more time to generate additional leads. This will ultimately lead to an improved bottom line. A faster sales cycle can also become your competitive advantage. It will allow your company to increase market share and grow your business. 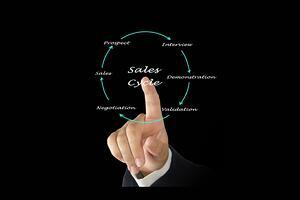 But how can you shorten the sales cycle? What does it take to push more people through the sales funnel? How can you optimize the sales cycle to improve your ROI? Here are five effective tips that can help you shorten the sales cycle and improve profitability. How do they research the product? The answer to the above questions will allow you to know how to approach your target market. It will help the sales team to customize their message and target prospective customers in a focused manner. This will result in the generation of more qualified leads that will cut down the sales cycle. Another important tip to shorten the sales cycle is to get rid of “cold” leads. Not all leads are likely to convert. The reality is that around 96 percent of visitors that come to your website are not likely to convert. This means that only a small percentage of visitors are likely to purchase. Focusing on buyers who are likely to convert will result in an increased return on marketing effort. It will allow the sales team to focus on qualified leads and convert them into customers. So, it's important that you carefully analyze the database and get rid of leads that are not likely to convert. 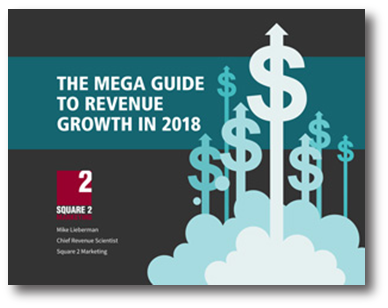 Your sales team should focus on nurturing prospects who have shown genuine interest in purchasing the product or service and let go of the rest. Again, this will help in cutting down the sales cycle. An effective way to shorten the sales cycle is by using a Mutual Action Plan. Basically, it's a document that you share with your prospects during the lead generation stage. It helps them make an informed buying decision. A mutual action plan consists of a step-by-step process that is co-created with prospective customers. The plan has a specific goal and is written according to the needs of the customer. You can use online tools such as Lucidchart or any chart maker of your choice to make the sales action plan. This will help reduce the time it takes for sales personnel to convert a prospect from lead to customer. Yet another way to shorten the sales cycle is to align your sales pipeline with your customer journey. You should learn the steps your customers take to make a purchase decision. By aligning the sales cycle with the customer journey, your sales team will be able to create a faster flow with more closings. Many sales reps waste time doing things that do not help generate more leads or convert customers. They tend to waste time on clerical tasks, project management, and social activities. If most of their time was spent on prospecting sales opportunities and following up on prospects, it would help close more deals. Make sure that the sales team solely focuses on prospecting leads and converting them to customers. The non-sales tasks should be automated. This will result in optimal productivity of the sales team, resulting in a shortened sales cycle and improved profitability.